As a part of Twitter’s #ThrowbackThursday, Thinkbiggersanjose.com will run a series or posts from the archives of the previous version of the website. Enjoy! San Jose has grown leaps and bounds in its art culture over the years, and with the art box projects popping up all over the city, public art has been pumped back into other areas of the city beyond its cultural core. So why not expand on this idea of covering utilitarian items in the life with paint, and start looking at larger canvases? Murals have been a large part of San Jose’s public art scene, as chronicled by Josh at The San Jose Blog. Between the work of Phantom Galleries, Empire Seven Studios, and The Exhibition District, downtown has numerous murals depicting significant events and ideas that make San Jose. So take the murals and go larger in scale. Like an art box on a street corner, buildings are also (in general) large boxes. The best example would be the windowless AT&T building on Almaden Blvd. Many people in the city would point to this building as the worst looking building in downtown, and the first to be slated for demolition. But instead of destroying the building that holds a switchboard center and server farm, why not hand it over to local artists? 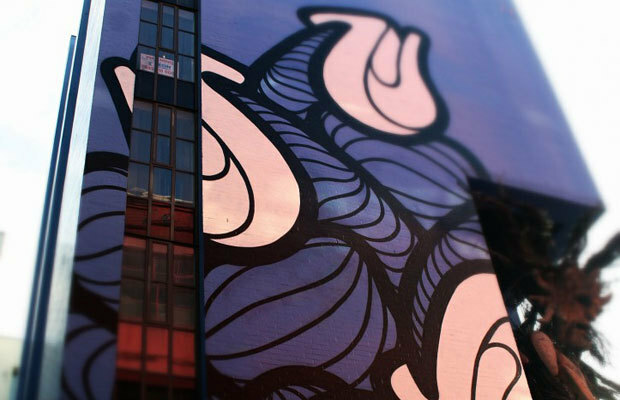 A few years ago, the side of the building was used as a projection screen, to create a multi-story mural. 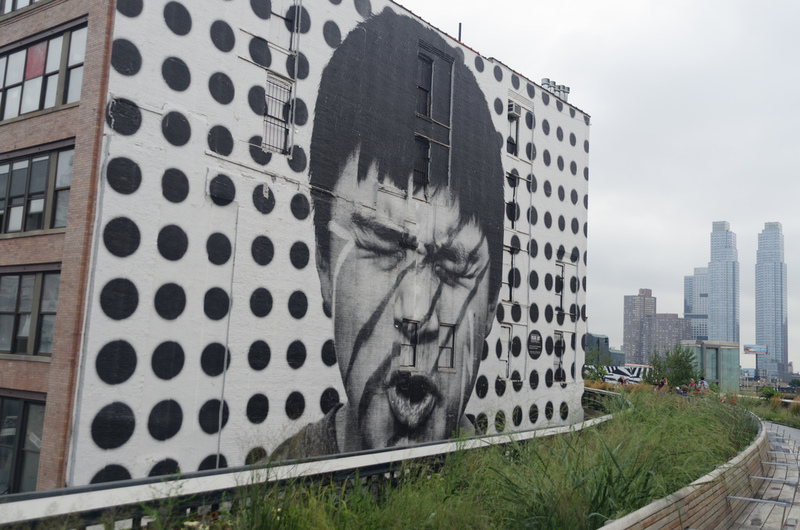 Mural buildings could expand beyond the AT&T building. Maybe it could be on just one side of a building, or it could completely cover the cement exterior of a parking garage, like on the corner of 3rd and San Carlos streets. However the manifestation, full building murals would add more intrigue and character by telling visual stories of the city. Taking the idea further, why not paint the tops of the buildings? After taking a tour of the 88 during a Condo Crawl, I realized just how obscene the rooftops of the buildings were in downtown. Do murals on these too. Beyond just having views for those that daily occupy the business or residential highrises, think about the airplanes that constant fly over on approach to SJC. San Joseans would be promoting their culture to every visitor flying into the city. Think of the statement that San Joseans could make about who we are, and what matters most to us, through a visual connection with our visitors across dozens of building roofs. 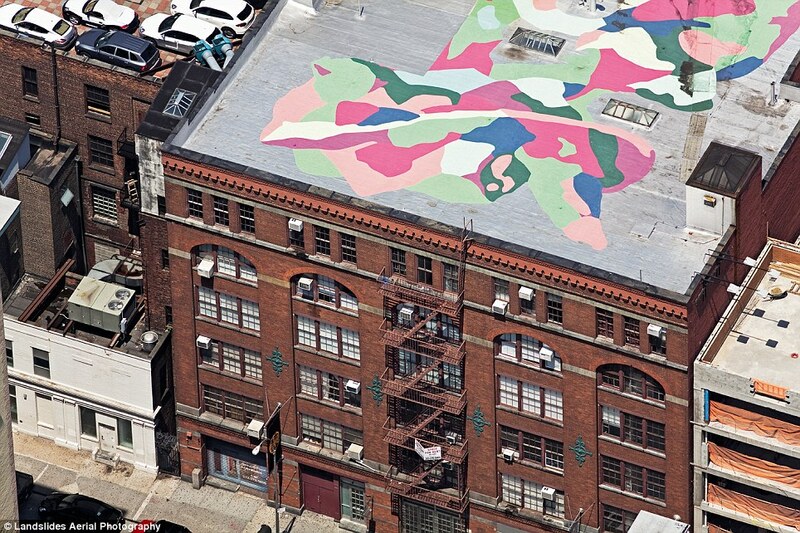 Another option could be to paint each building roof solid or semi-solid colors, and once finished the whole picture could only been scene from satellite. With the constant use of mapping technology, anyone looking up San Jose would see a piece of art in the middle of the city. Either way it would help to harmonize the currently dreary and inharmonious rooftop landscape. Art is an expression of the people, and given the “canvases,” we could express our city’s culture, while simultaneously drawing in interested eyes, revolutionizing how public art is approached in San Jose.